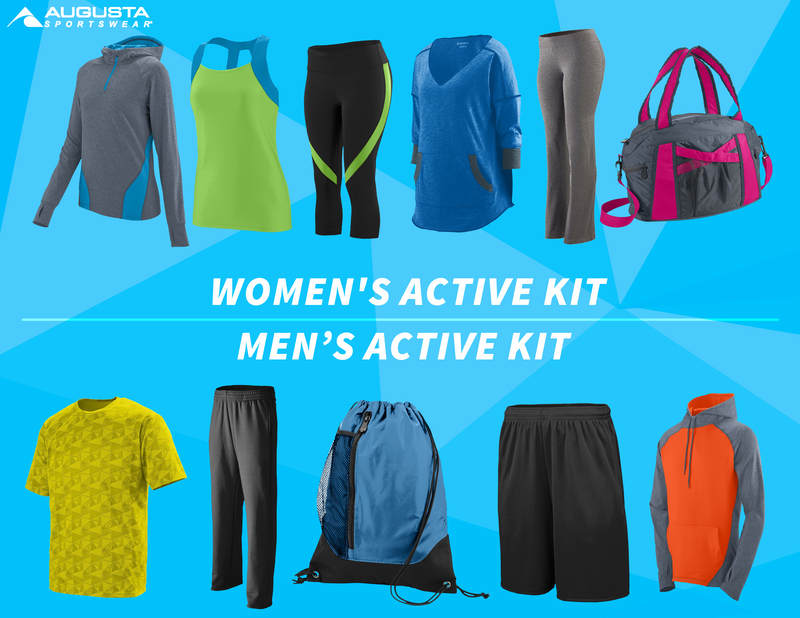 This post and giveaway are sponsored by Augusta Sportswear. All thoughts and opinions are my own. How are you all do with your fitness goals this month? We’re a few weeks into the New Year and I’m always inspired when I scroll through my Instagram feed and see all of my friends working hard to meet those resolutions. It’s been a while since we’ve actually talked about fitness on the site, and that’s because I’ve been in a tough place working hard (in front of the computer), chasing kids around and trying to get our own eating habits back on track. If you’re looking for a little extra motivation to get back into good fitness habits, I encourage you to check out our articles on Health & Fitness and chat me up on Facebook. Here on H&H we are all about positivity and making changes that can last a lifetime. But sometimes you need a little help making that first step, amiright? And over and over again my friends on Facebook will ask for advice on what to wear while they’re working out. So while you’re perusing for the right brand, there are a few important questions to ask yourself. How do the clothes FEEL? Are they comfortable? Flowy? Do you have room to move without feeling self conscious? I’m teaming up today with Augusta Active and their super comfortable workout clothes. Not only that, but they’re giving away some things for you all too! Men and women can enter, because they are giving away two different kits. This is an equal opportunity giveaway. The only restriction is that it’s only open for US residents and the specific styles/colors of the giveaway items may vary based on availability. I'm going to do some yoga and go for runs! The way I want to get active in 2015 is to do more walking, start a yoga class, and drink more water. These are the top three things that are on my list to getting active. I would also like to get my husband involved with these as well! I am going to start up with my walking again in the Spring! I lost 85 lbs so far, but gained some back over the Winter & because I started back on insulin. God bless! I really hope to just get moving more since I tend to be sedentary.